Description: Fofanah was born in Sierra Leone and at a young age immigrated with his parents to Australia. At the age of 14, Fofanah had a successful trial with Manchester City, scoring six goals in two matches with the under-18 squad. However, due to difficulties with passports and visas he did not join the club. After joining the Bankstown Berries he was subsequently picked up for the Wanderers National Youth League squad. He impressed the club enough to earn his first professional contract as a Wanderers first team player on 20/5/14. Can anyone enlighten me on how to pronounce Fofanah's first name? Pretty sure its AL, the rest of the letters are silent*. Should have had more game time. Qatar's preparation for the FIFA U-20 World Cup in New Zealand received a boost after they downed the Young Socceroos 4-1 in Auckland on Thursday. 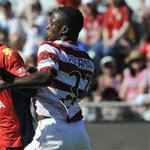 Australia's goal was scored by Western Sydney Wanderers star Alusine Fofanah. Not good they got hammered though! We are playing a squad picked with the 2016 U19 Asian Championship in mind. Our opponent is in final preparation for the U20 World Cup. 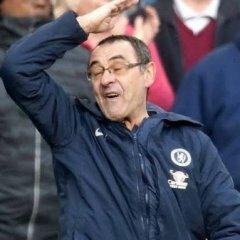 Our players are basically 2 years younger and as it is a new squad they only got together a few days before the series started. 11 of our squad hadn't been capped before and 7 only had 1 cap. The squad should be assessed on improvement over the 6 or 7 games not on a single performance early on. Now playing for Sydney fc NPL team I believe.